REPLAY VIDEO: NOWCastSA webcast the UTSA College of Public Policy’s Dean’s Distinguished Lecture Series featuring U.S. Congressman Lloyd Doggett on Nov. 4, 2013. Doggett's presentation was "How Congress Works and What You Can Do About it." Rep. Doggett represents Texas Congressional District 35, which stretches along I-35 from San Antonio to Austin and includes much of Bexar County. He serves on the House Ways & Means Committee, which has jurisdiction over all tax and trade measures, as well as Social Security and Medicare. He is ranking Member of the Subcommittee on Human Resources, which has jurisdiction over issues that relate to child care, child and family services, child support, foster care, adoption and unemployment compensation. The live webcast was made possible by NOWCastSA members, and is archived here for replay. 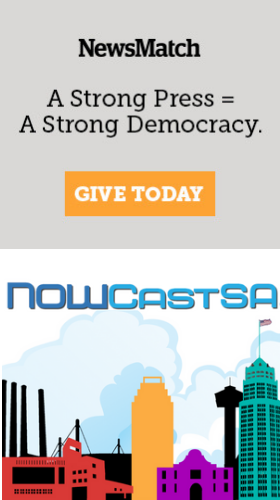 For information on how to become a NOWCastSA member to support more programming like this, click here.